Jack Yan is publisher of Lucire. Sopheak Seng is fashion and beauty editor of Lucire. 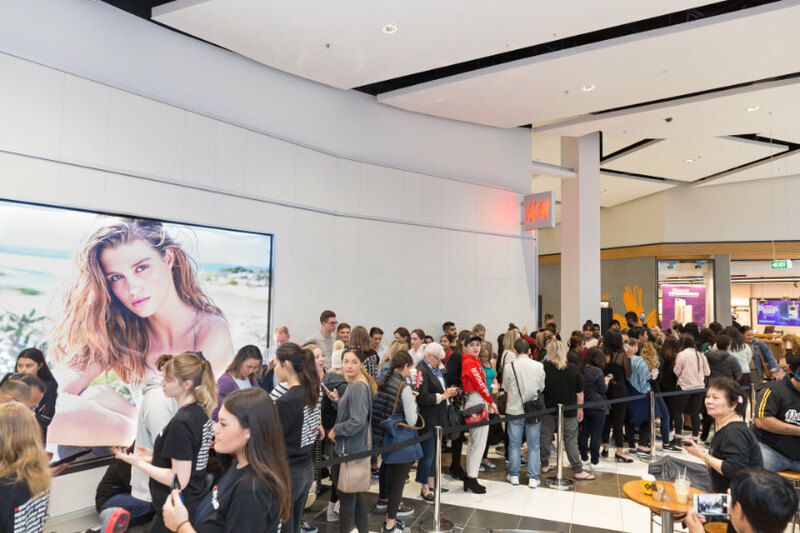 On the eve of Hennes & Mauritz (H&M) opening a retail store in Queensgate in Lower Hutt, near Lucire’s HQ in Wellington, we met up with Daniel Lattemann, its country sales’ manager for New Zealand. Lucire has covered H&M for longer than any New Zealand fashion publication—our first story was the Kylie Minogue-modelled Christmas lingerie collection 19 years ago, and we’ve frequently beaten our European colleagues in breaking news of collections—so when it opens in our home town, we’re inclined to give it a bit more focus than similar launches overseas. 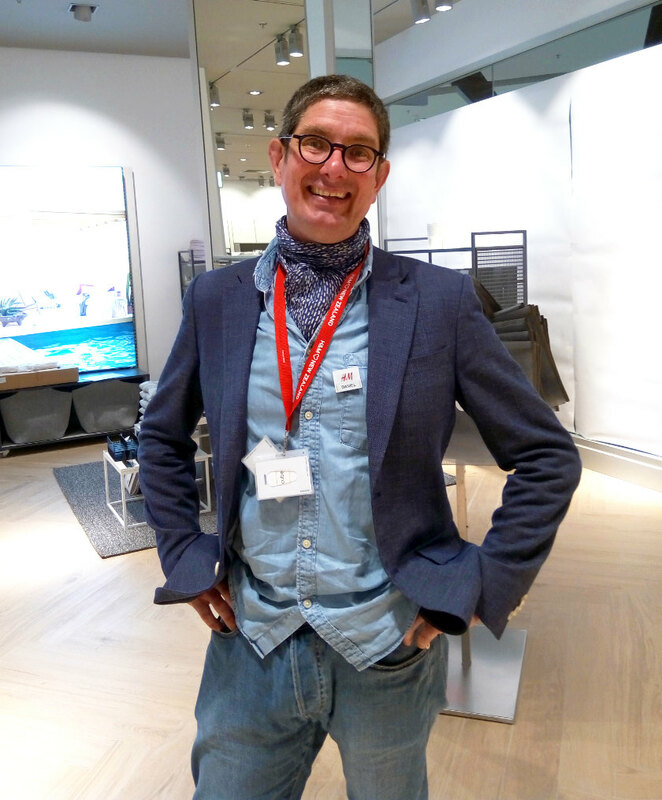 Dressed completely in H&M, with a cravat under his blue shirt, and navy blue blazer, Lattemann greets us enthusiastically when we meet in the new store, undergoing some last-minute touches with 20 hours left to go before its grand opening. A thousand people are expected to show up when the doors open at its Queensgate location at 10 a.m. on Thursday, October 26. 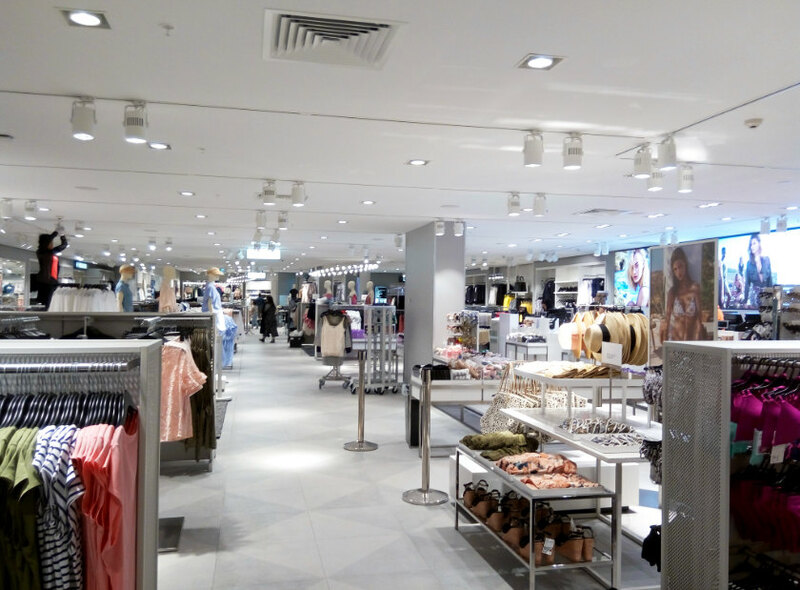 The store itself is expansive, taking two floors in Queensgate, occupying 2,700 m² (Christchurch is next largest in the country at 2,535 m²; the first store at Auckland’s Sylvia Park is 2,300 m²), with men’s, women’s and children’s fashion, plus H&M Home. H&M Kitchen could well be added in the future. 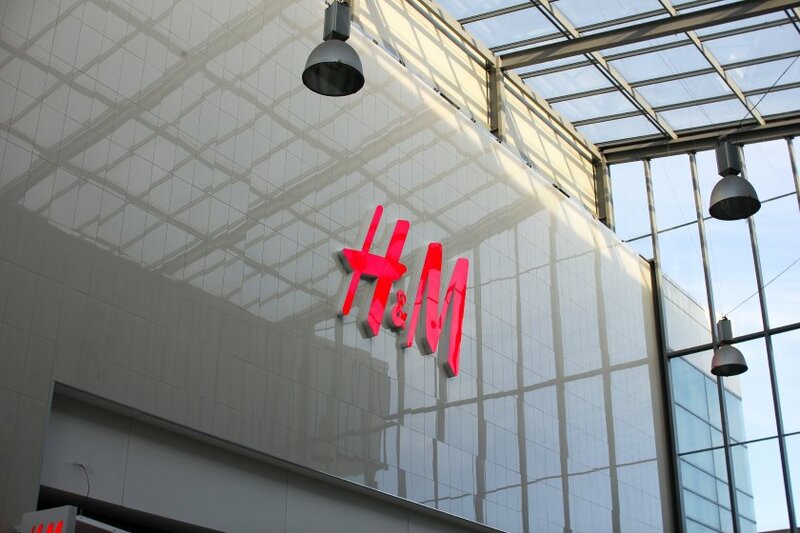 The signage is familiar to anyone who has visited an H&M store, and stock levels are healthy for the store’s opening day, including clothing in sustainable materials, something which we foresee Wellingtonians taking to. There was a buzz as staff finished up with their preparations, and we knew we were unlikely to see the store this empty ever again. Lattemann, who is German by birth, has a 21-year association with his employer, beginning as a department manager in his home country, before rising through the ranks to looking after the store, then various territories in the US as H&M expanded across the Atlantic. After 10 years Stateside, including stints as both east and west coast regional managers, Lattemann was dispatched to México to head sales there, overseeing its launch. A father of three, he notes that his children are free to go into the outdoors—a contrast to their previous home where they had to be accompanied by bodyguards for fear of kidnapping. Those locations, Lattemann says, will soon include a national flagship store at Commercial Bay in Auckland, on that city’s waterfront—further testament to the company’s desire to land prime retail spots. Any others? Never say never—but something tells us they’re coming as soon as the right locations emerge. Given his expertise running regions and countries, Lattemann knows what needs to be in each store. ‘There is a different climate in Christchurch, so we stock more knitwear and jackets. But 80 per cent of our collections is the same [throughout each store].’ So does he believe in a global consumer, one who demands the same thing wherever they go? ‘New Zealand is fashion-forward,’ says Lattemann. But, ‘There is a global consumer, who has the same needs.’ When we put to him that that was something we struggled to push last decade when we went to a print edition to complement our web one, Lattemann says, ‘You have to educate the consumer and it takes time. 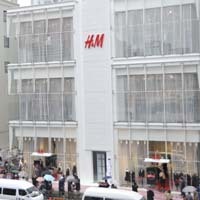 Today, social media drives global trends in fashion.’ People are sharing and following, and a global look, he believes, has emerged, one that H&M is in a strong position to satisfy. ‘Our campaigns are global, our PR and marketing are the same. It’s amazing to open the New Zealand market, we are unique with our business model.’ He agrees with Lucire’s belief that fashion must be democratic, that everyone can have accessible fashion, when we discuss the designer collaborations the brand has embarked on since 2004, with Karl Lagerfeld by H&M, and, from November 2, Erdem × H&M. Lattemann explains that everything has to be right for both brands before a collaboration goes ahead, but sadly the latest will not appear at Queensgate. Erdem × H&M is being reserved for flagship stores, so those salivating after seeing Baz Luhrmann’s The Secret Life of Flowers will still have to journey to Auckland’s Sylvia Park to indulge.